The Bergwitzsee Resort is scenically located. The 11-hectare area is located directly on the beautiful and very clear Bergwitzsee, a former lignite mine. Of the history as an open pit, however, is as good as nothing to see, since this open pit, not like today’s strictly straightened and standardized. It has created a very varied landscape, which connects seamlessly to the nature park Dübener Heide. 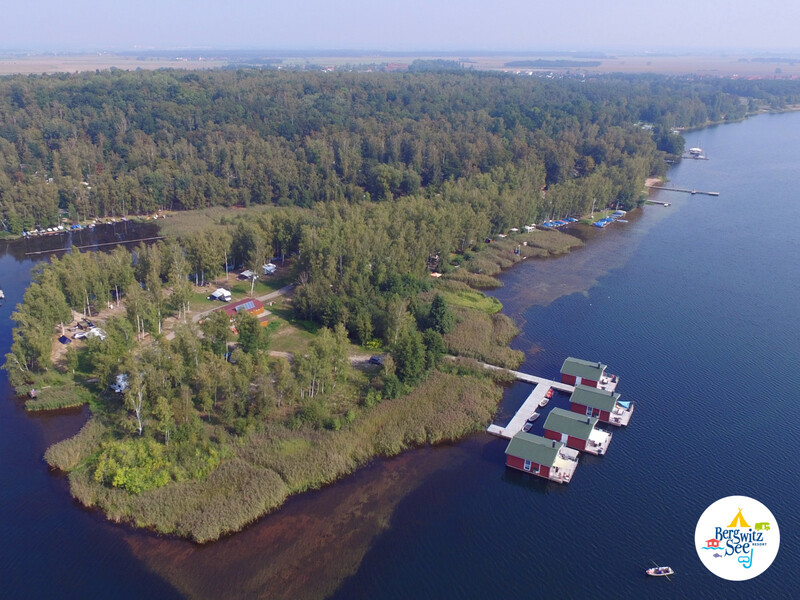 The Bergwitzsee Resort stands for natural family holidays and offers not only classic camping and cottages, but as a special highlight also 4 floating cottages on the water. This special offer delights the whole family and the houses can be used all year round. So that even outside the classic camping season, many families spend their holidays.